John D. Rockefeller once famously quipped, "Own nothing and control everything." Though, at first, this may sound farfetched, the truth is that he was really on to something. He was foreshadowing the need to flaunt as few assets as possible before the IRS and Treasury departments, who are eager to see everything you own and control it. Rockefeller also knew long ago that there were two sound ways to take advantage of asset protection offshore. How Does Foreign Real Estate Safeguard Your Assets? Assets that are offshore, beyond the reach of Uncle Sam, are the only truly protected assets. Overseas real estate purchases are a fantastic way to position assets offshore. This does not mean that you should wire off your U.S. dollars for the first foreign real estate opportunity about which you read. Consider the destination country and its stability, rule of law and respect of foreign property ownership customs. Knowing the best property markets in the most stable economies wouldn't hurt either. Real estate that you hold in Britain will be more securely yours than real estate holdings in Iraq might be. Sinking your dollars into foreign real estate holdings will not exempt any resulting income from the taxman since every U.S. citizen is supposed to report income earned anywhere in the world. It does mean that Uncle Sam cannot simply decide one day that he wants your condo on the island of Malta. Find out if asset protection offshore is for you. Why Should You Put Your Precious Metals Overseas To Truly Protect Your Assets? Simply sinking a portion of your wealth into gold or silver won't put it beyond the government's determined reach. As President Franklin Roosevelt proved so effectively in 1933, the government can simply nationalize all private gold holdings at any time it desires. The key to transferring your precious metal wealth to safety is to locate your gold offshore. You start by obtaining a safe deposit box in a foreign bank's foreign-soil-based vault. 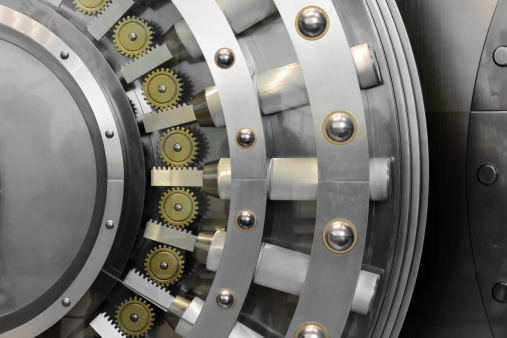 History has recently proven that securing your precious metals in a U.S. bank vault is no protection from Uncle Sam as the Feds can simply walk into a U.S.-located bank with a federal judge's warrant and seize the contents of anyone's safe deposit box. Overseas safe deposit boxes need not be prohibitively expensive, but they do get your precious metals offshore and away from the American government. When your gold goes quietly into a Swiss, Liechtenstein, Andorra or Cayman bank's vaults, it effectively disappears from Uncle Sam's radar. Gold is one of the few mediums of exchange that you can always count on to hold value as it has since the beginning of history.